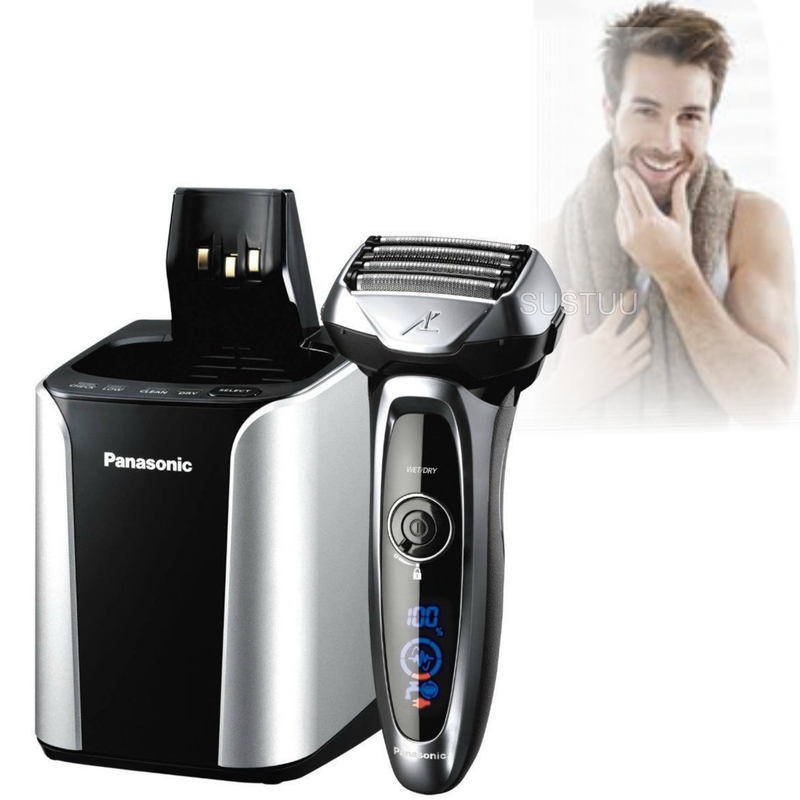 Wet/Dry - Washable Enjoy the convenience of dry operation of use with foam or gel for a pampering, silky-smooth shave. 100% Waterproof - Rinses clean under running water. 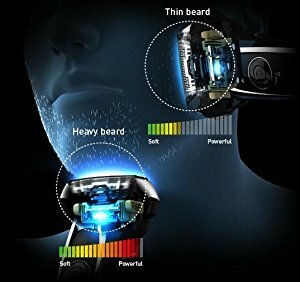 Shaving Sensor Technology - Automatic stubble sensor detects beard's density and adjusts motor speed for a powerful yet gentle shave. 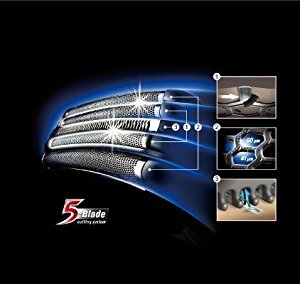 5-Blade Cutting System - The distinct foil patterns work in combo to capture and cut even the difficult parts of your beard. Finishing Foil - A specially-shaped finishing foil captures and cuts stubborn hairs. Lift-Tech Foil - Features reverse tapered edges that help lift and cut hairs that lie flat. Slit Blade - Catches longer hairs that grow in varies directions, allowing for a precise shave. Multi-Flex™ Pivoting Head Allows the shaver to follow the contours of your face for efficient comfort and coverage. Multi-fit Arc Foil Follows the contours of your face for efficient coverage and maximum comfort. 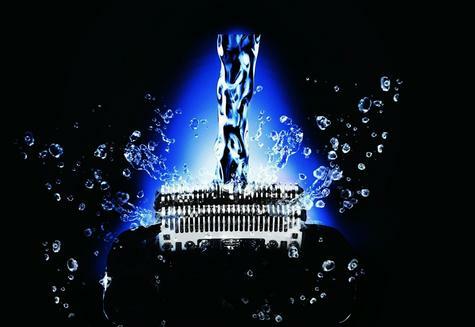 Nanotech™ Blades 30-degree inner blades featuring nanotechnology cut the hair at its base for a close shave. 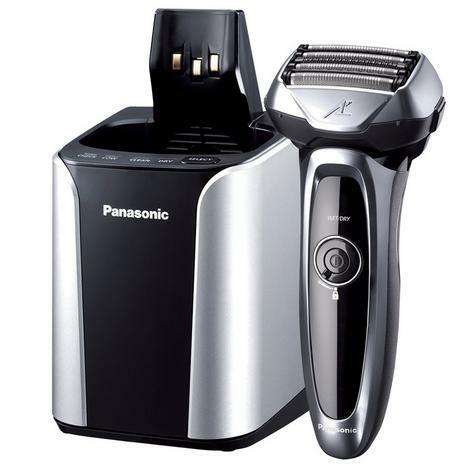 Pop-up Trimmer A fine 45-degree angled blade is effective for grooming sideburns and moustaches. Automatic Cleaning & Charging System Cleans, dries and charges the unit automatically keeping the blades sharp and ready for the next shave. 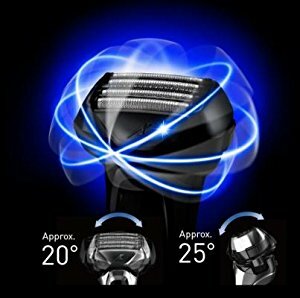 Illuminated LED Illuminated LED indicates shave time, battery capacity, shaving sensor mode, foil/blade replacement and cleaning reminder. 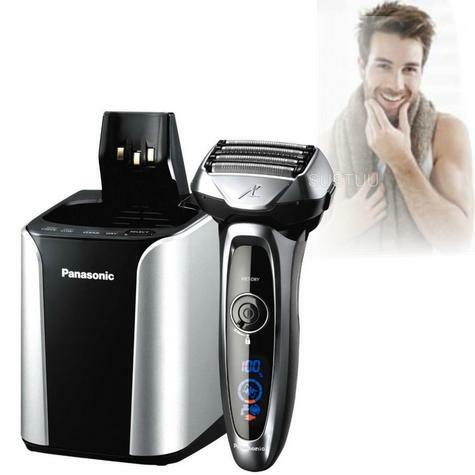 Fast, Linear Motor Drive 14,000 cycles per minute linear motor drive delivers a smoother, cleaner shave. The smart shaving sensor recognises differences in the density of your beard as you shave; Boosting power where your beard growth is heavy, and reducing power where it is thin. 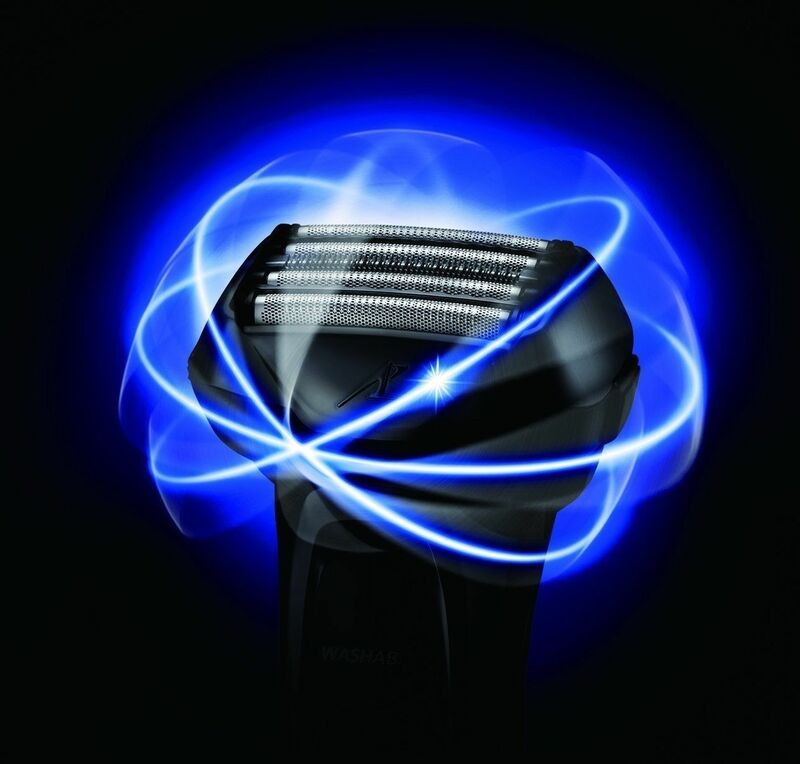 Thanks to a newly developed suspension mechanism, the shaver’s head has 3D movements. The agility of the head allows constant contact with your skin as it traces the contours of your face for a smoother more efficient shave. 5 Blades with Nano Polished Inner Blades. Two distinct foil patterns work in combination to capture and cut even the most difficult parts of your beard. In addition the 30* acute angled inner blades, perfected to Nano level precision, cleanly cut even tough beards and provide a close, gentle shave. 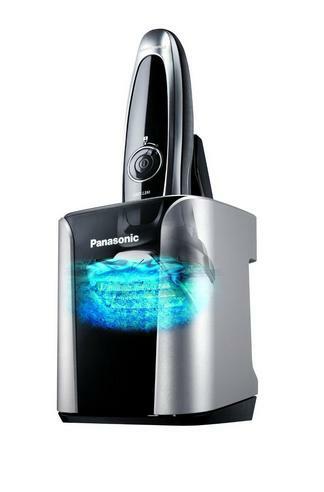 Multi-Functional display - charge percentage, minutes usedand cleaning status.